JAM (Jesus and Me) Time is a Christ-centered program aimed at serving families with children who are not yet old enough for kindergarten. Children can be accompanied by a parent, grandparent, babysitter, etc. All parents of young children not yet old enough for school, please join us for JAM Time (Jesus and Me Time)! JAM Time is a parent-child activity hour that gives parents a chance to socialize with other parents with children of similar ages and connect with your child through music and movement activities. We will meet in the Morning Star School gym from 8:30-9:30 AM one Friday per month. (See schedule below.) 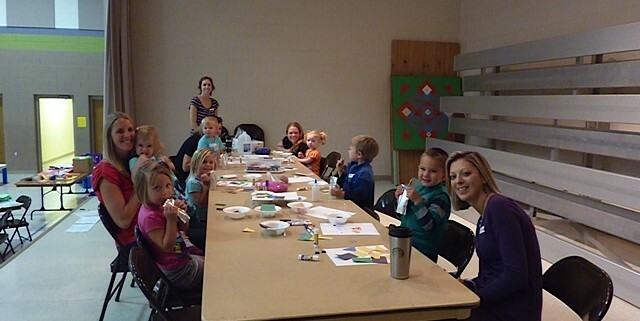 Children will enjoy a Bible story, engaging in art activities, playing movement games, and listening to music! To register, or if you have any questions, please contact Michelle at michelle.zak2@gmail.com. Please invite others in the community/your neighborhood to join us! All are welcome!